The National Observatory on language rights, directed by Frédéric Bérard, lawyer and lecturer, and Professor Stéphane Beaulac, has as its primary mission to promote access to information regarding the fundamental and dynamic field of language rights. Mainly devoted to the political and legal issues concerning official language minorities in Canada, the Observatory also explores the evolution of the country’s unique diversity and its indigenous issues at first glance. 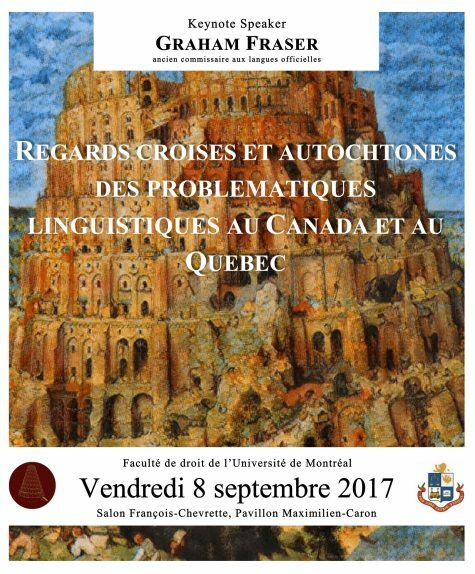 For obvious reasons, the particularities of Quebec’s linguistic situation will also be the subject of detailed analyses. Rooted within the Public Law Research Centre (CRDP) of the Université de Montréal, this scientific platform has the objective of collecting and disseminating all information concerning language rights of communities subject to the new paradigms of this field. Thus, in addition to compiling an exhaustive list of the pertinent legislation, the relevant case law and doctrinal works, the Observatory is also responsible for ensuring the organization of various educational and scientific events – such as symposiums and seminars. Active through traditional and social media, the members of the Observatory are equally involved in events regarding the language issue held outside the traditional academic framework. Media monitoring – combined with a blog that is run by the directors and open to researchers and correspondents alike – shall improve the ongoing dialogue between the Observatory, academia and civil society. Finally, additional attention is given to various foreign jurisdictions exhibiting similar linguistic concerns. To this effect, current academic contributions from Catalonia, Belgium, Morocco, Russia and Switzerland undoubtedly contribute to the international reputation of the Observatory's work and, consequently, to that of the Faculty of Law of the Université de Montréal. This content has been updated on 7 April 2016 at 2 h 38 min.